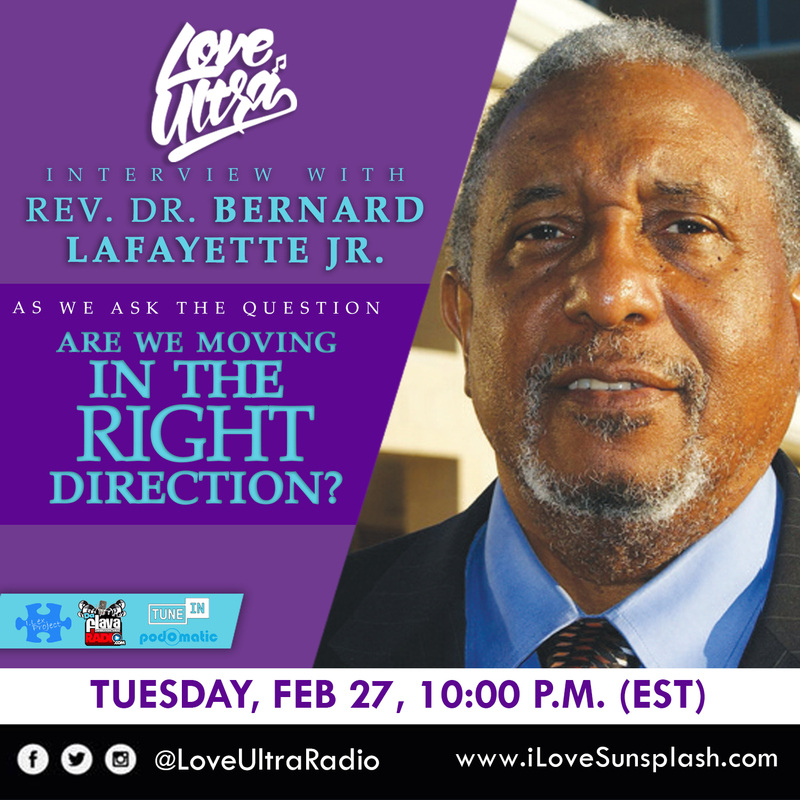 I was totally geeked when Love Ultra Radio had friend of the family, mentor, educator, civil rights activist, and Kingian scholar-practitioner Dr. Bernard LaFayette on for another Black History Month interview! Like #WakandaForever level excited! Love Ultra Radio caught up with Rev. Dr. Bernard Lafayette. Hear why training and knowledge are important when organizing a movement, the goal of accomplishing peace via non-violent acts, and how that strategy is used effectively throughout our history. Listen to the first step of non-violent activism organizing, the importance of researching your roots, and what inspires Dr. Lafayette, Jr., to continue the necessary forward movement to complete his mission. Also, read and support his book, “In Peace And Freedom My Journey In Selma” (available on Amazon now). Follow Rev. Dr. Bernard Lafayette, Jr. learn, listen and share his lessons and become a part of the non-violence movement for equality and justice. Here is the audio for the full interview. 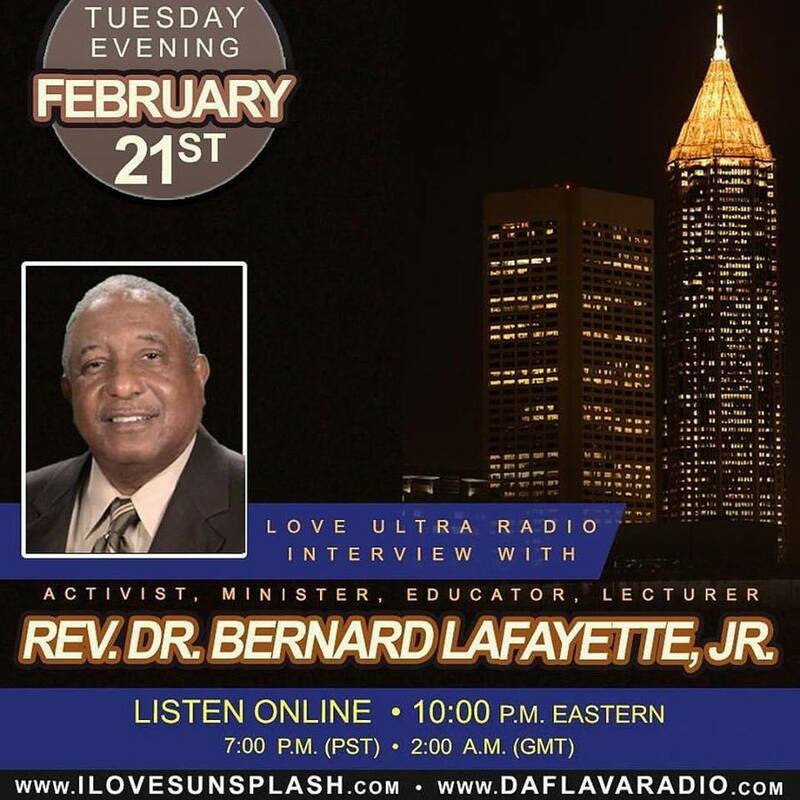 Civil Rights Activist & Educator Dr. Bernard LaFayette Live On-Air Tonight! 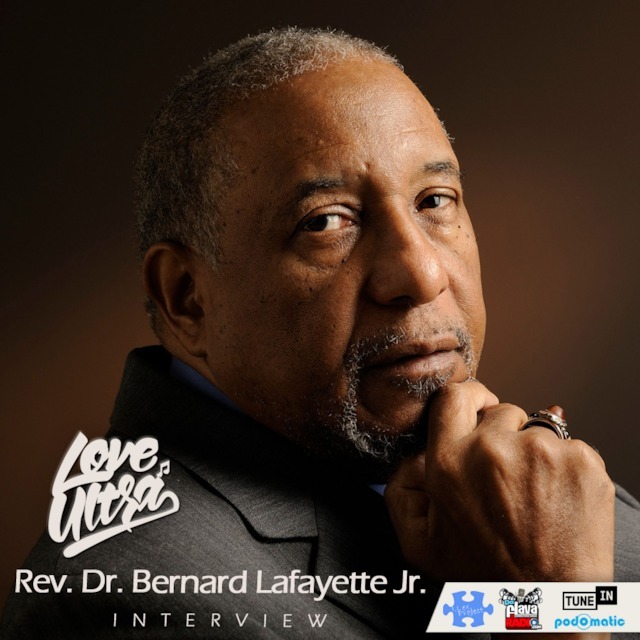 Shout out to my folks over at LoveUltra – I.Lex & Jah Prince – for having my personal hero and champion for Civil Rights, Dr. Bernard LaFayette, Jr. back on this year. Dr. LaFayette will be the capstone interview for LoveUltra’s Black History Month observance. But, truthfully, isn’t EVERY month Black History Month. I am always excited to hear from ‘living history’ – like astrophysicist Dr. Neil deGrasse Tyson, pro football standout and human rights activist Colin Kaepnernick, President Barack Obama, Congressman John Lewis, and more. So many more! But tonight, we honor and hear from Dr. LaFayette. Tune in at 9pm EST for some great music (Jah Prince mixing urban & island flavor, street-level to soulful), with the Doc coming in around 10pm to talk to the nation and the world! 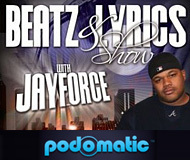 If you want to hear last year’s interview, as a preview, click here. I felt such a rush, and a potent mix, of emotions once Love Ultra Radio green-lit this interview event. This will be something of a fireside chat with Dr. Bernard LaFayette – a living legend, civil rights warrior, and Kingian scholar (who even today teaches the history and methods of activism and nonviolent protest made known in the States by those aligned with Dr. Martin Luther King, Jr.). And shout out and respect to the bredren Jah Prince and super-producer Iman Lexington for throwing open the doors and welcoming Dr. Lafayette warmly. Oh… and that hey-I-know-that-name feeling you are getting… that is because I recently mentioned his name in the opinion piece I posted a few weeks back about the Talledega College marching band playing President Trump’s inauguration (link that here). Want to know what is so awesome, inspiring, and awe-inspiring? I did not really get to know Dr. LaFayette as the man who boldly walked with MLK Jr. and Jesus Christ since his youth. Nah, I got to know him as my high school principal back in Tuskegee, Alabama. I got to know him as the guy that cheered us on our sideline win, lose or lose badly. And as husband to my late Grandma’s longtime friend and across-the-street neighbor, Mrs. Kate (Bulls) LaFayette, who with my Aunt Tammie (Cottrell), helped me get this all set up for tonight. Yep, and I got to know Dr. LaFayette as the Reverend who eulogized my beloved Grandma (another Tuskegee Legend) and presided over her home-going a couple of years back. Yeah. Doc took time from the never-ending work of uplifting and educating the people of the world, of ensuring that more and more of us learn to love and respect each other, to even fight for each other… without raising fists or firearms to do so… That man, came to sit with the family; share some memories and food; and wipe away a few tears. Long enough story made only a bit longer: I am honored to know the man honored with the 2016 Mahatma Gandhi International Award for Reconciliation and Peace; and to know that he is NEVER to busy to talk to us… like he will tonight. I hope you will tune in to Love Ultra Radio tonight at 10pm EST to get to know him better, too. 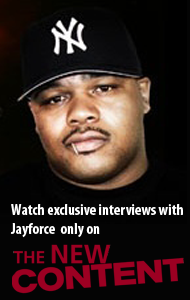 See the flyer above for details on the interview. And check out the linked article below for more info on the Doc.